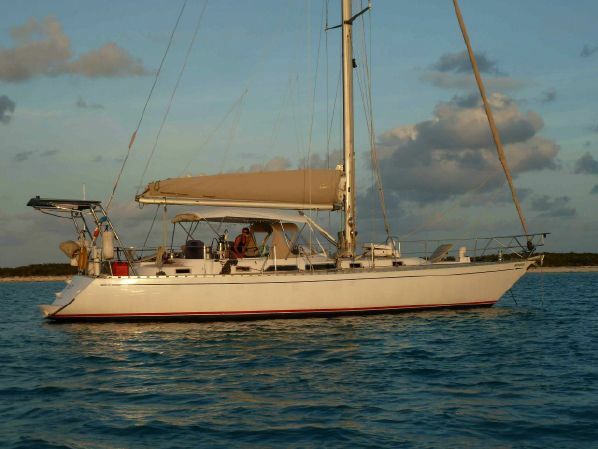 Scott Duncombe just listed a 47' Hylas 1989 for sale. She is asking $247,000. CAMELOT is located in the Bahamas. CAMELOT is a beautiful center cockpit, sloop rigged, 3 stateroom passage maker designed by Sparkman & Stephens and built by Queen Long Marine. Her special features include exceptional sailing performance combined with a wonderful seakindly feel and ease of handling. Her accommodations include dual aft passageways, 3 private staterooms, 2 heads w/ showers, a large sea going galley and main salon all beautifully finished in teak to the highest yacht standards.